Since it's illegal for Amazon.com to run its own cloud computing services in China, the company has partnered with Chinese companies to comply with legal and regulatory requirements. Amazon Web Services Inc. is partnering with multiple local Chinese providers, including ChinaNetCenter and Sinnet, who will provide the necessary Internet data center and Internet service provider services, such as infrastructure, bandwidth, and network capabilities, to support the delivery of AWS software technology services in China. A limited number of companies will gain access to the services when it is deployed in early 2014, and Amazon has not set a firm date for when any other company can start buying the service. 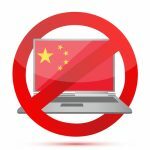 China's laws exclude foreign companies from having any direct stakes in companies that provide direct web hosting, virtual machine hosting, or cloud computing services. So companies like Amazon must tiptoe around the rules by partnering with local firms who will bear the brunt of monitoring the Internet traffic, using approved China-based encryption standards, and acquiring necessary Internet service provider licenses and hosting licenses for their clients. Financial terms of the deals with Amazon's local partners were not revealed. In a ceremony last week in Beijing, AWS China signed a memorandum of understanding with the Beijing municipal government and the government of Ningxia Hui Nationality Autonomous Region. The MOU reflects the signing parties' intent to construct and develop high-performing, reliable, and economical AWS cloud computing services that leverage facilities and resources in Beijing and Western China, and are promoted to customers across China. Additionally, the Government of Ningxia Hui Nationality Autonomous Region intends to use AWS Cloud services to power its public service applications in an effort to fully utilize the benefits of cloud computing to improve the efficiency and user experiences of its public services. 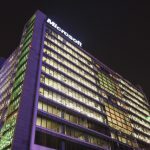 On November 1, 2012, Microsoft formed a partnership with 21Vianet, a Chinese Internet infrastructure service provider, to realize the localization of its enterprise cloud services: Office 365 and Windows Azure. Under the cooperation, Microsoft provides licensed technologies to 21Vianet; meanwhile, 21Vianet is responsible for the operation of Office 365 and Windows Azure. With this model, Microsoft avoided the telecom value-added business license issue in China.